G.P. Putnam's Sons Books for Young Readers, 9780399169014, 32pp. how much you like puppies and big, fuzzy bears. Douglas Todd Jennerich studied creative writing and theology at Susquehanna University in Selinsgrove, Pennsylvania, as well as acting at the Atlantic Theater School and the William Esper Studio, both in Manhattan. He lives in Los Angeles. 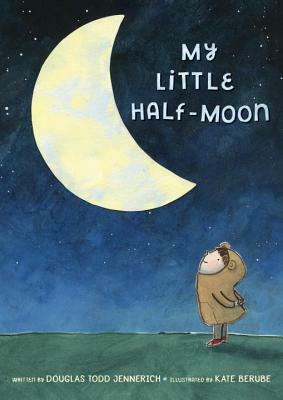 My Little Half-Moon is his debut children’s book. Kate Berube is a children’s book author and illustrator whose work includes Hannah and Sugar and The Summer Nick Taught His Cats to Read. She has yet to talk to the moon but she often talks to her one-eyed dog, Sugar. She lives in Portland, Oregon.